President Rivlin addresses Annual Israel Leadership Mission of the Conference of Presidents. President Reuven Rivlin on Sunday stressed the importance of the United States’ support for Israel always being bi-partisan. 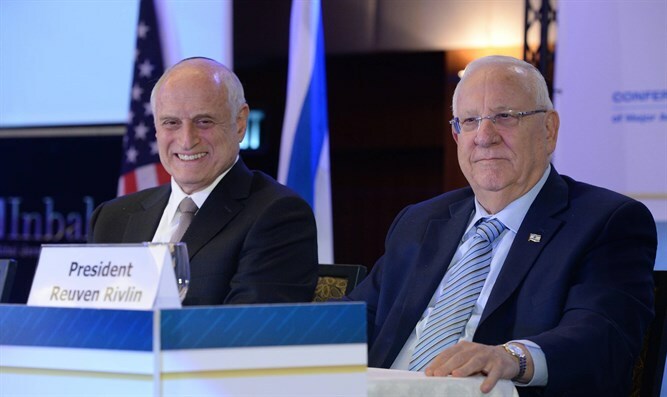 Rivlin’s comments came as he addressed the opening dinner of the Annual Israel Leadership Mission of the Conference of Presidents of Major American Organizations led by Chairman Stephen M. Greenberg, and CEO Malcolm Hoenlein. The mission brings together more than 100 leaders from the Conference’s 52 member organizations and National Leadership Council. Rivlin welcomed the participants, and thanked them for their support for Israel which he noted was not just in words but in actions. The President went on to speak of the importance of the relationship between Israel and the United States.